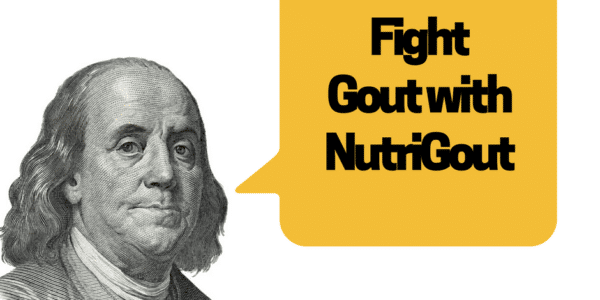 Did you know that Benjamin Franklin suffered from gout? Actually gout affects about 2% of the general population. Gout is an arthritic condition of the joints which strikes the foot from the big toe to the heels, knees, ankles, fingers, wrists, and elbows. This is due to an impaired transportation of uric acid to the kidneys where instead of excreting it in urine, uric acid accumulates in the blood stream and results in a gout attack. Gout has many causes but it is often attributed as a hereditary condition. There is no known ‘straight up’ cure for gout yet, but it can be prevented before it starts by selecting the right kinds of food, drinks, and medication, and avoiding ones that make the inflammation worse. To help relieve your gout the natural way, we list down the 6 best herbs that help lower uric acid levels and fight inflammation. Celery seed is a very potent herb for gout pains as it contains several strong anti-inflammatory properties like luteolin and apigenin. Several other compounds like omega-6 fatty acids and coumarins in combination with the flavonoids also work together to fight conditions like gout. 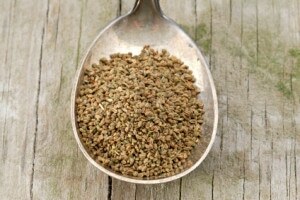 Celery seed can be taken naturally, as a tablet or as an extract. The recommended dosage for the tablets is 500 mg to be taken twice a day. Be sure to drink lots of water after taking celery seed as it is still a diuretic. Turmeric is a superfood which contains an active compound called curcumin. 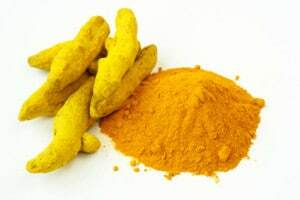 Curcumin by itself is anti-inflammatory, antiviral, antioxidant, antifungal, antibacterial, and antitumor. This makes it the perfect remedy for many ailments but only recently has it been used to treat gout. Turmeric prevents chronic inflammation by minimizing xanthine oxidase activity, the enzyme responsible for producing uric acid. It can be taken as a tea, capsule, or tablet. The recommended dosage of a standardized extract is 300 mg to 600 mg taken 3 times a day. 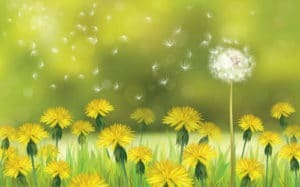 The root of dandelion is a very effective remedy for gout as it contains vitamins C, B complex, and D, and is rich in beta-carotene and protein. On top of that, it also possesses potassium, magnesium, fiber, zinc, biotin, phosphorus, and iron. All of these properties combined help in removing excess uric acid from the blood stream and eliminate toxins from the liver. During a gout attack, the essential fatty acids and phytonutrients found in dandelion root can also help relieve inflammation and swelling. 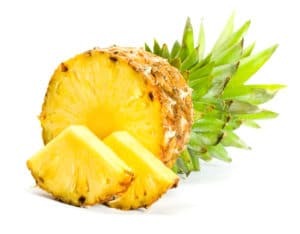 Bromelain is an enzyme found in pineapple stem that helps with the body’s blood circulation by obstructing production of the same compounds that cause swelling and pain. This makes it the perfect remedy for strain-induced gout because it allows the uric crystals to decompose. Bromelain that come in the form of 500 mg capsules can be taken twice a day to prevent gout attacks. It may also be taken during a gout attack every three hours until the pain subsides. 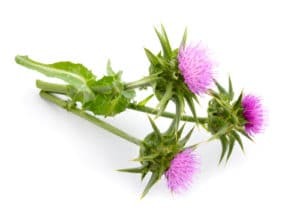 The seed of milk thistle contains a flavonoid called silymarin which is both an anti-inflammatory and an antioxidant. It helps rid your body of toxins that build up in your liver; by having a healthy liver, it’s easier for uric acid to metabolize and pass through as urine instead of building up in your bloodstream which can result in gout pain. Milk thistle can be taken as tea or as a supplement. You can also add the seeds to some of your recipes. 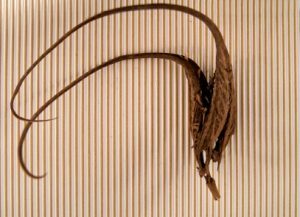 Devil’s claw is an herbal treatment used by locals in South Africa to treat several sore joint conditions including arthritis. It’s perfect for treating gout since it contains a substance called harpagosides which is an anti-inflammatory. It is effective in treating pain from arthritis and is a natural alternative to painkillers. Devil’s claw is available at health food stores and usually comes in capsule form which can be taken two to three times a day. We suggest you try to incorporate these herbs into your daily routine by adding them to recipes or taking them in pill form. You should start feeling the difference relatively quickly as well as become more compelled to find other natural solutions that help with gout pain. Would you like to have a product that carries all of these 6 key ingredients in one capsule? NutriGout is GoutandYou.com author & blogger Spiro Koulouris’ own proprietary blend that includes these 6 key ingredients so you can keep your uric acid levels healthy! 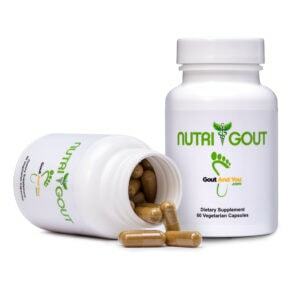 If you suffer from gout, you’re going to want to try NutriGout today! NutriGout is available and on sale on Amazon.com.